2 teens arrested for 'clown threats' in Washington Township, N.J.
WASHINGTON TWP., N.J. (WPVI) -- Two teens have been arrested in connection with making so-called "clown threats" in Washington Township, New Jersey. A 13-year-old girl, identified only as a Washington Township Public School student, has been charged with one count of cyber harassment in the fourth degree. 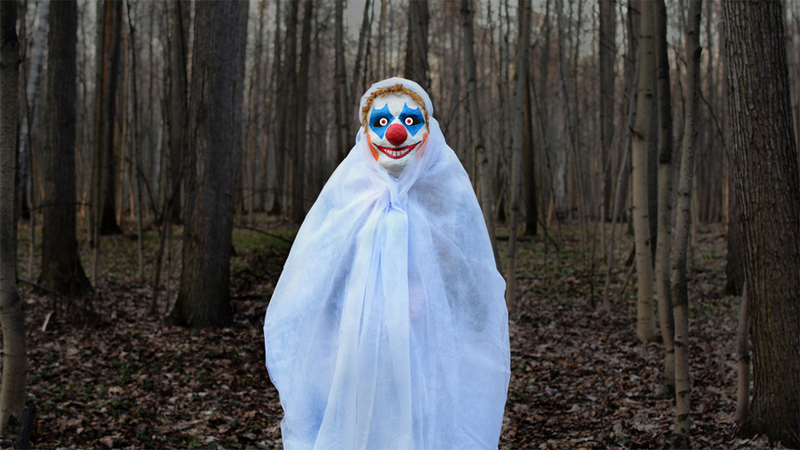 According to police, throughout the weekend, the teen copied similar incidents from across the country reporting "clowns" would be looking to harm others. The threats became specific and identified several victims by name, address and other personal information. The student was charged and released into the custody of her parents. A 14-year-old boy was also arrested in a separate incident. Police tell Action News his threats were more of a general threat to the public and not to a school. No charges have been announced in this case. Police have not revealed if the two teens knew one another or were making the threats together. The investigation is ongoing. 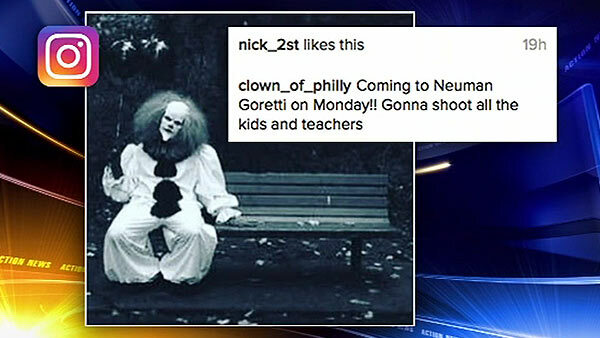 The arrests come on the same day Philadelphia police say they have identified another 13-year-old girl who made so-called "clown threats" toward local schools. According to investigators, the girl told them this was a "prank" committed with a friend at her school, and she never had any intent to harm anyone. The case is being forwarded to the District Attorney's Office, police say, as the investigation continues.